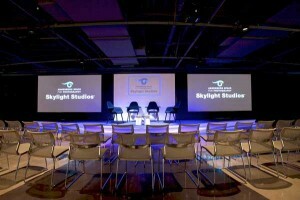 USA - Electrosonic has provided the primary audio and video systems at the Annenberg Space for Photography Skylight Studios in Los Angeles, a new 5,000-square-foot multimedia studio and retail gallery located across the park from the Annenberg Space for Photography. The Annenberg Space for Photography exhibits digital and print photography by some of the world’s most renowned photographers and emerging talents. The new Skylight Studios provides an enhanced lecture viewing atmosphere and experience through state-of-the-art AV equipment, a concert-quality audio system and HD broadcast capabilities. The venue also accommodates photography workshops and special events. It’s the new home for the long-running, free Iris Nights lecture series and the Meet & Greet programme where visitors interact with photographers, photo editors and other guests. 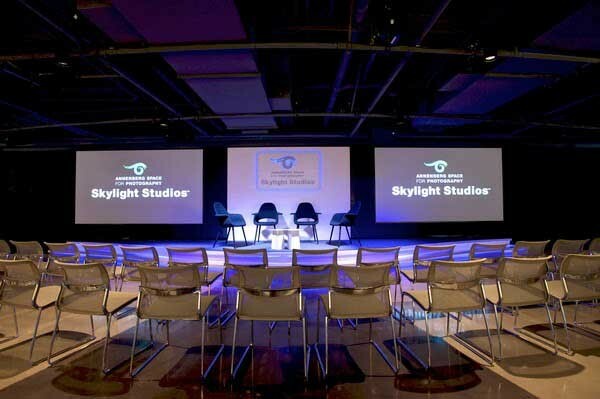 Electrosonic delivered a comprehensive roster of services to Skylight Studios, including audio and video system engineering design, on-site rack fabrication, systems integration, installation, commissioning and programming. The company met the challenge of a fast-paced installation schedule, which was part of the overall facility renovation. To meet the video needs of the new space, Electrosonic mounted Christie projectors in Tempest housings to minimise the noise of their operation. Samsung flat screen monitors were installed for viewing in back of house and in the guests’ green room. On the audio side, Electrosonic was charged with distributing background music to the retail area and restrooms, and background music plus the performance audio feed from the main sound system to the green room. The company provided Renkus-Heinz and JBL speakers, Extron extenders, a Peavey DSP, Crown amps and Shure mics. Electrosonic also created Skylight Studios’ back of house studio control room for presentation and broadcast operations. 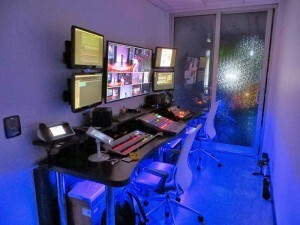 That space is compartmentalised with two equipment racks behind frosted glass doors and the primary space featuring the operations desk with mixing console, lighting console, confidence monitors, control touch panels and edit bay for on-the-fly production of broadcast, webcast and social media events. “The biggest challenge was the fast paced installation schedule, which was part of the overall facility renovation schedule and coordination with other service providers,” commented Electrosonic’s Steve Calver.